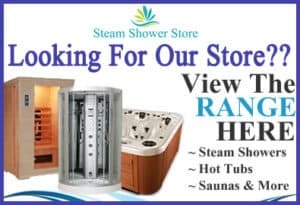 Here at Steam Shower Store we aim to process all orders received before Noon, Monday to Friday the very same day. Any orders received after this time will be processed and dispatched on the next working day. Delivery Times: UK – Typically 1-3 Working Days. Delivery Times: International – Typically 5-7 Working Days. In the case of larger its too big to be posted, the courier may require a signature from a persons present at the address. Usually in the event of a “failed delivery” on any day, the courier will attempt a redelivery the following day. The courier may then chose to return the item to there depot or back to us. In the event a re-delivery charge, likely to be identical to the original delivery charge will need to be processed to get the items resent to you. All delivery times are subject to stock availability. If an item is out of stock upon ordering, we will contact you immediately to notify you. We will not dispatch the order without further confirmation from you. Steam Shower Store also will accept no liability, compensation or refunds to and degree for lost or delayed items. Each order is shipped in good faith though external influences may effect the delivery which is outside our control.